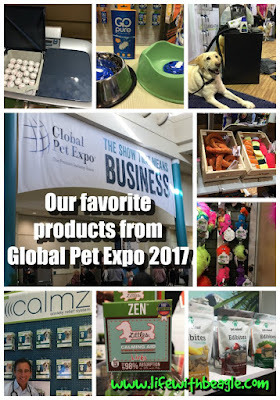 Another Global Pet Expo is in the books. We stumbled through over 7 miles of pet products over three days in March. 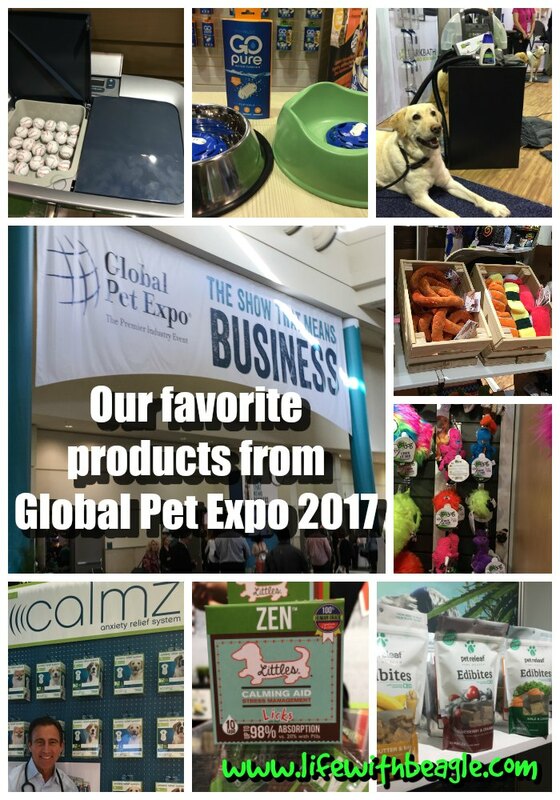 Over 1,100 companies showed off thousands of products for dogs, cats, reptiles, fish, hamsters, birds, chickens, and more. 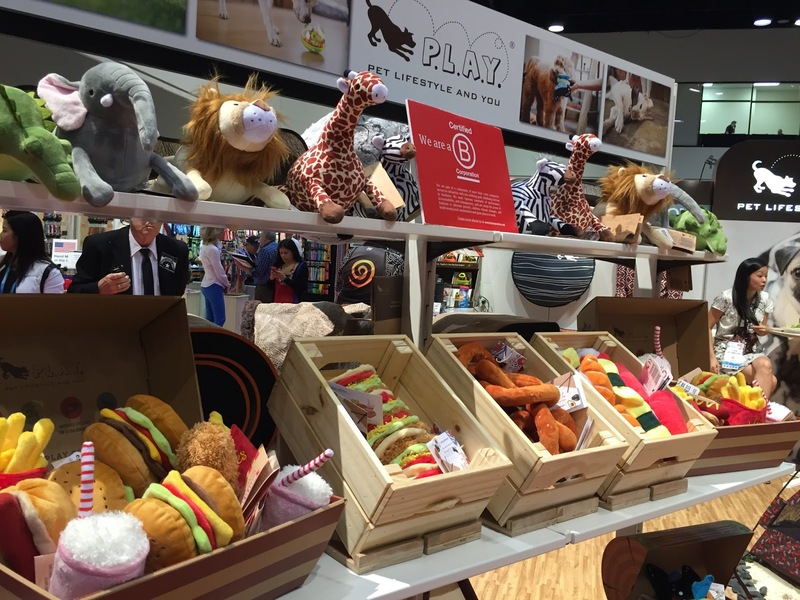 Here are 9 of our favorite dog products from Global Pet Expo -- broken up into six trending product areas to watch in 2017. NEED TO KNOW: We did not get any compensation for this post. We did receive product samples, but all opinions here are our own. It would be fascinating to know if our pets are more anxious because they sense our own anxieties. 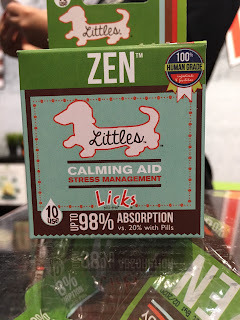 Either way, we saw more products released at Global Pet Expo to help our pets calm down. 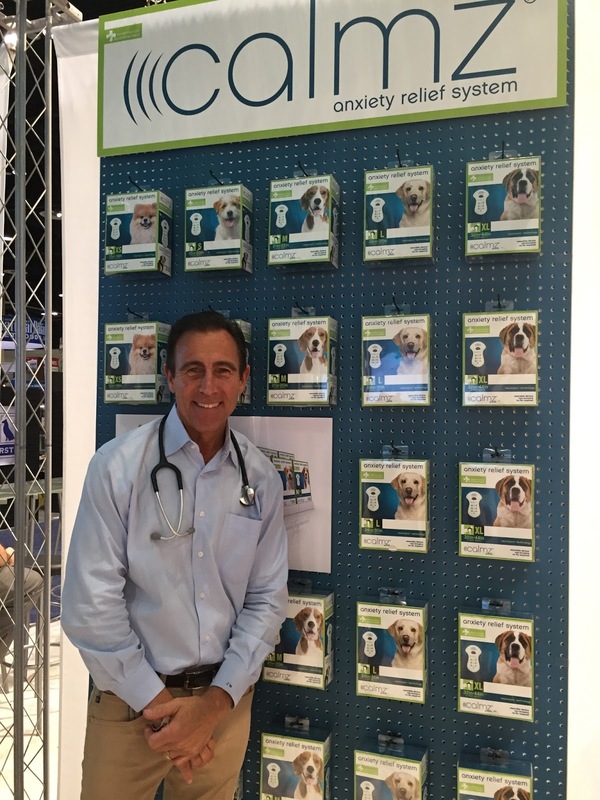 PetMate and veterinarian Dr. Jeff Werber are coming out with a new device called Calmz. 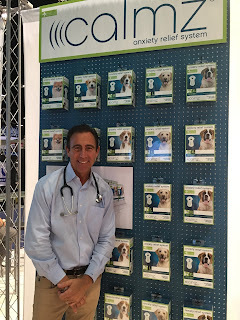 Veterinarian Dr. Jeff Werber at the Calmz booth. This accupressure device attaches to a vest. When turned on, it provides a massage-like vibration along the spine and a soothing music at a level dogs can hear. The music and massage is supposed to provide stimulation that redirects pets' away from stressful reactions. It's $129.99 and comes out later this year. Treats and supplements are also a big deal. 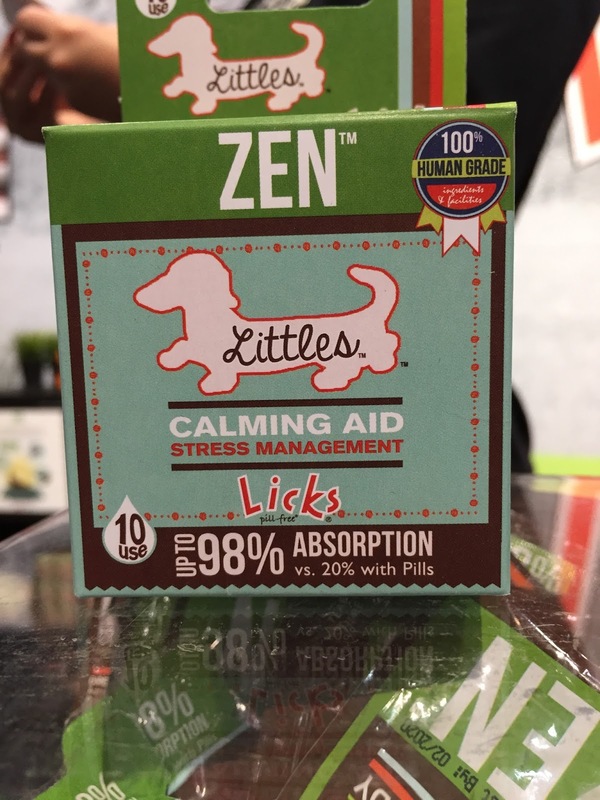 Licks Pill Free makes amazing supplements for dogs, and they've always had Zen, which works really well. It helps Lulu stop barking at bigger dogs. Well now they've come out with a formula for little dogs. Licks Pill Free Littles at Global Pet Expo. It's a gel that comes in little packets and dogs just -- you guessed it -- lick it up. 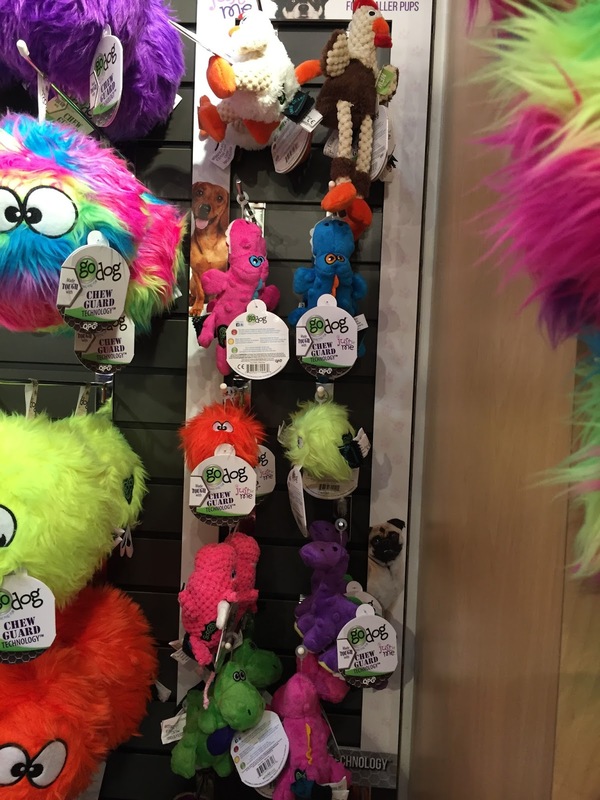 You can find it online, in boutique stores and in PetSmart. I ran into at least three companies that were showcasing products made with CBD oil. 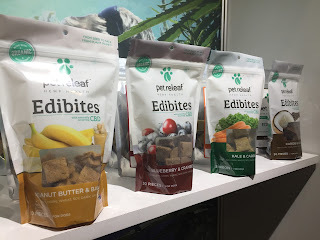 Pet Releaf sells Edibites treats and oils. Edibites come in several flavors, all with infused with hemp oil. The company says they use a third party to lab test their products. Companies say help helps with stress relief, boosts immunity and reduces inflammation. P.L.A.Y. created a whole new line of food toys. And I particularly like these. P.L.A.Y. and its plush toys. Each food toy is different. For instance, burgers and tacos all come apart and crinkle. Of course some squeak. My favorite is the sushi, which is plush tug toy. A rope runs through each piece of sushi, and squeakers. This is great because Lulu loves to tug but doesn't like ropes anymore. Meanwhile our friends at goDog are going smaller. 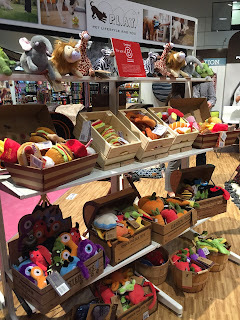 They've come out with new toys for tiny dogs in the Just for Me line. goDog's new small toys for tiny dogs. I'm considering getting some of these because Jasmine, for some reason, favors toys the size of her mouth. And goDog is extremely durable, with double seams Chew Guard technology fabric. PetSafe's new digital pet feeder. PetSafe has long had pet feeders, but this year they are going digital. 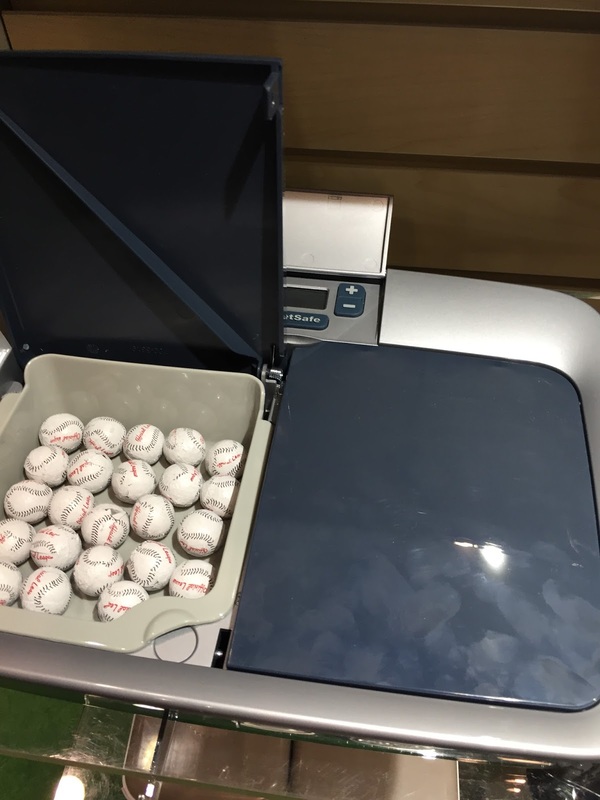 This new version of the portion feeder has a digital timer, removable, diswasher-safe trays and you can even fit a slim ice pack in there. But there are lots of other companies coming out with pet feeders. Petnet has released the SmartBowl and SmartFeeder. The devices are wireless and a scale so that you can portion out the right amount of food and track what your pet eats. They're already available at Petco. With the SmartFeeder, you can schedule meals. Fountains and other filtration devices for your dog's water have been around for years, but this new product is smaller and simpler. GoPure Pet is a filter for the pet bowl. GoPure is a tiny ceramic filter pod that can fit in any water bottle. But the company has come out with this new carriage with suction cups that fits into a water dish. 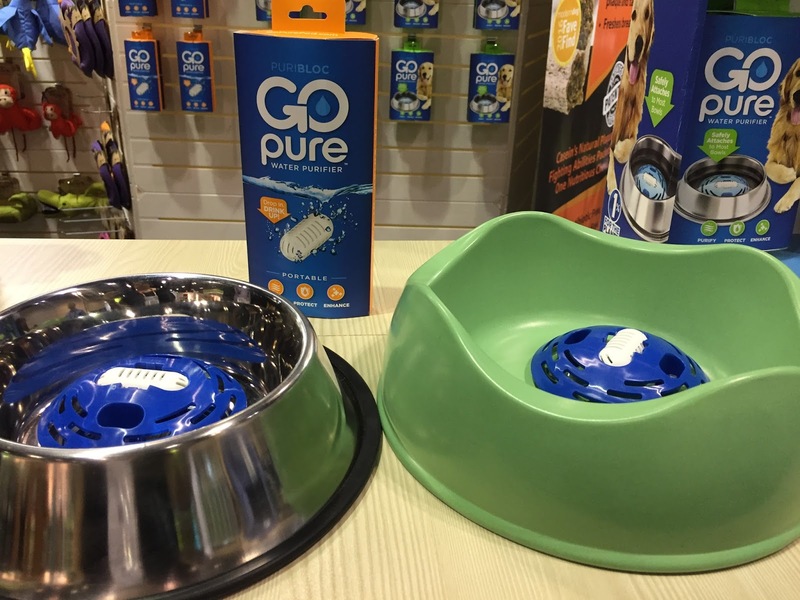 The GoPure Pet continuously filters the water. The company says it keeps both the water clean, but also the water bowl. The GoPure Pet costs $29.95 and the little filter pod is supposed last several months. Clean your pet without a bathtub. Bissell has taken from cleaning carpets to cleaning dogs. The Bissell BARKBATH pet cleaner. 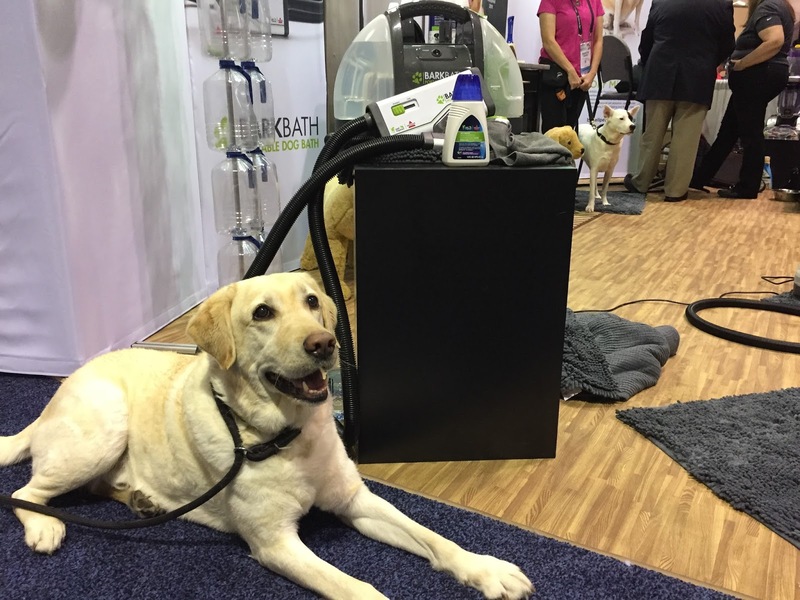 BARKBATH washes your dog the same way it washes a rug. It's essentially a SpotBot with a special attachment for dog washing. In fact, if you have a SpotBot, Bissell sells the BARKBATH attachment. It's supposed to use less water than a traditional bath, but it's good for any sort of fur length. I know what you're thinking -- why would my dog ever allow him or herself to be vaccuumed? To help with that, the hose on the machine is almost 11 feet long. You can put the machine around a corner to reach your dog, and you can place it on a dry dog pad (which they sell) to muffle the sound. 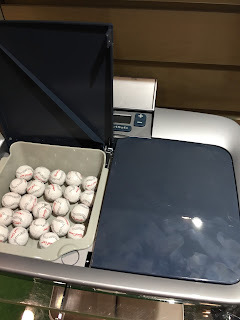 The unit sells for $149.99, but the attachment sells for $69.99. The toys are some of mine too, but Lulu and Jasmine are so weird with toys! Wonderful post! 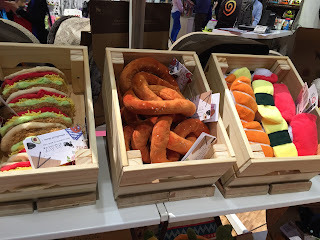 The products featured in the exhibition are amazing. I think I might order the fun toys and the bathtub for my dog.